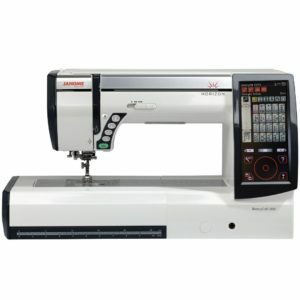 An industrial-grade machine, the Janome Horizon Memory Craft 12000 is one of the most recommended pieces of sewing equipment on the market. With a price that ranges between $6000 and $7000, there’s no doubt about the fact that this machine is on the more expensive side. However, it still remains an exceptional piece of equipment that’s not only worth every cent but it will also provide you with a wide range of features that will allow you to sew with comfort and efficiency. 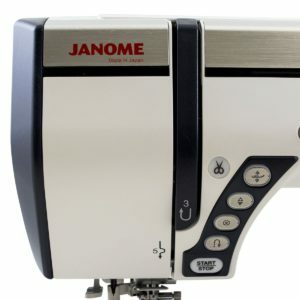 The Janome 12000 is a multi-purpose machine, which means that it can be used for both sewing and embroidery purposes, so you won’t need to invest in additional equipment. In spite of its professional-grade functions, the 12000 remains extremely easy to operate, this is why it’s very often used by beginners who can afford to splurge. Boasting of a stainless steel bed plate, the machine also has a large and solid frame, which ensures that it remains completely stable during use. This consequently ensures precision for a more professional finish- something that can come in extremely handy for both embroidery and sewing, since precision is often required for these projects. It also sports an amazing range of features that you won’t find on lower quality models such as the Singer Futura Quartet. These include 425 stitch designs and 13 one-step buttonhole styles, as well as 338 embroidery designs and 10 alphabet fonts on its embroidery mode. It does have a few quirks to its name, even if nothing substantial was reported by customers. The main complaint was related to its ease of use, since some users had was that the machine’s computerized function turned out to be slightly too complicated for them to navigate through. It comes, however, with a fully illustrated and detailed instructions manual which will enable you to find your way around the various functions in no time at all. Other than these drawbacks, the Janome 12000 received an overwhelming number of positive reviews and has a five star rating on most major sites. Users will be glad to learn that the Horizon 12000 is equipped with an exceptionally spacious maximum embroidery area of 9.1 x 11.8″. Not only that, but to make things more practical, this model includes 4 hoops of different sizes( 3.1 x 1.6″, 5.5 x 5.5″, 9.1 x 9.1″, 9.1 x 11.8″), so you’ll be able to choose the one that best adjusts to the size of your design. When it comes to the sewing area, the Horizon 12000 sports a large sewing plate, so you’ll be able to work with large fabric dimensions with no problem. This can come in quite handy for sewers who want to indulge in quilting. The spacious work table is also designed to provide sewers with the best and more precise angles for you to reach the fabric. Exceptionally easy to use, the Memory Craft comes with everything you need to enhance your sewing experience and benefit from a wide range of features. Since it’s fully computerized, it is quite easy to navigate through. Sewers will enjoy the built-in needle threader that will allow them to thread the machine without having to strain their eyes. With the computerized screen you can also adjust the thread tension so it’s not complicated at all. Sewers will also appreciate the built-in memory option as well as the USB port which makes it easy for you to transfer as many designs as you want from your computer to the sewing machine. This model is even equipped with an automatic thread cutter that comes with its own memory function to make it even easier for you to work on your sewing or embroidery projects. Sewers can also make the most out of the Janome 12000’s auto declutch bobbin winder. 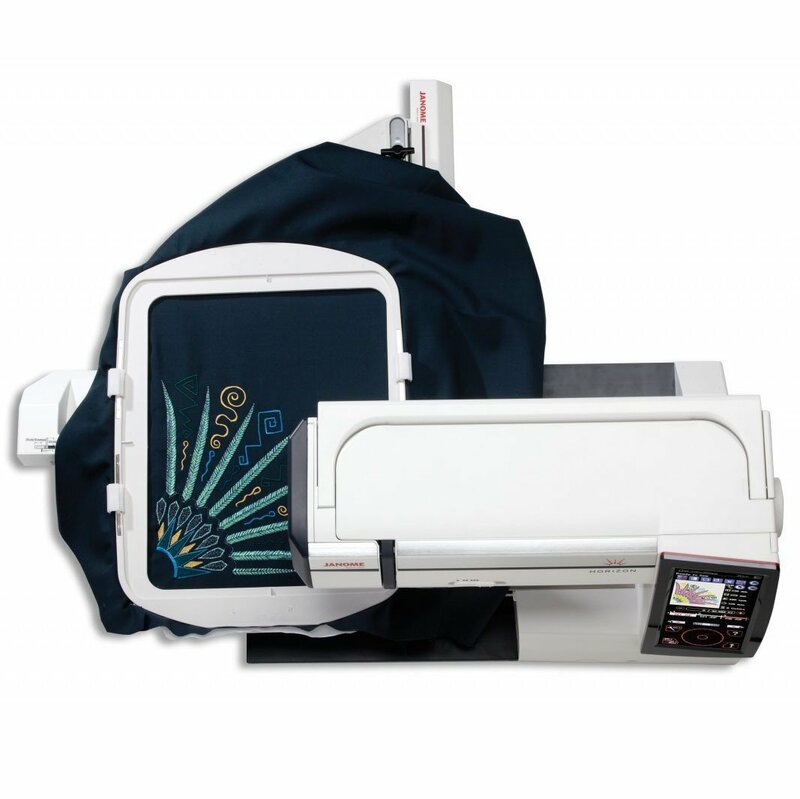 With the Horizon Memory Craft, you will receive no less than 10 alphabet fonts for monogramming as well as 338 built-in embroidery designs and 425 sewing stitches. If you plan on using the machine for quilting, it is good to know that this model includes a variable Zig Zag feature to enhance Free Motion Quilting. Boasting of a memory capability of up to 4MB, hence allowing you to store as many designs as you want to the machine. 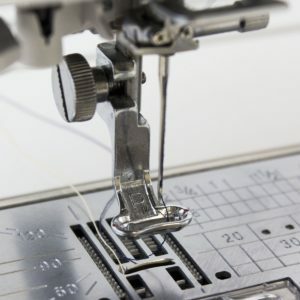 To make it even easier for beginners to learn to use this machine, the manufacturers even included a variety of on-screen tutorials and assistance to guide you through the embroidery and sewing processes. In fact, it even features a Stitch Composer stitch creation program to enhance your various projects. While it may be on the pricier side, the machine does provide excellent value for money, especially in terms of efficiency, functions and ease of use, and is in fact, considered one of the best sewing and embroidery machines on the market. Indeed, its super-fast sewing speed and smooth performance will allow you to work with any kind of fabric and to work fast. Also, thanks to its solid build, you can be sure that the machine will remain stable no matter how fast you sew. The machine is also ideal for small business since it can be used regularly without having to worry about it wearing out.